Art Bull India, the latest auction house initiated by a team of experts under the leadership of Siddharth Tagore, Art market expert, focuses on the areas in the Indian contemporary art scene what have not been explored by the existing auction houses. With a clear vision and target in place, Art Bull intended to identify and promote young talents from all over India, by placing their works in the right collections and shows. 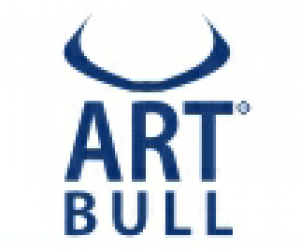 Art Bull India, an Auction House is planning to conduct an auction of Upcoming Contemporary Artist’s in November 2011. The idea behind doing this auction is to promote their sheer talent and expression in the artworks they produce. As of date there are many auction houses promoting and showcasing the Master’s and the established artists. For the first time in the Indian art we intend to showcase the rare – museum quality works by the young artists (list attached below) who have been selected by a jury made up of top most art critiques, curators and art historians, to name a few Johny ML (Foremost Art critic), Padam Shree Keshav Malik, Pranab Ranjan Roy and Amit Mukhupadyay. This will provide them with wider audiences by showcasing their artworks in this forum at an early stage in their careers as an artist which will help them get better presence and visibility in the art hemisphere. There is always been a talk of young talent not being supported and no one is doing anything for helping the new talent to come up. The ideology of this organisation is to support the young talent, help them find ground in the art market as well as showcase them on the platform with great visibility.